It was a long year for the staff of Wombat’s hostel. Cost of living has risen in Berlin but they still had to deal with minimum wage and unpaid extra hours or night shifts. It is something very common in the hotel sector, not only in Berlin. They told to our microphone (we still have just one) how the young travelers, chic neighbors and the management couldn’t care less. What’s unusual is that they managed to unionize, to elect a working council (Betriebsrat) and to reach a Collective Agreement (Tarifvertrag). The employer started with union busting: outsourcing, issuing warnings and dismissing people. In January 2019 the negotiations for (or against) the outsourcing of the room cleaners revamped the struggle. We hear their (success) story directly from their voices. Note: real discussion starts around min 3. 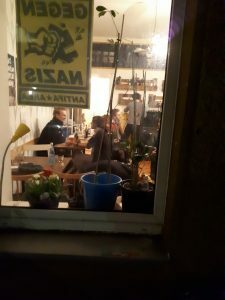 As always we will meet at Heart’s Fear (former Fritto, wildenbruchstr 24, 12045) offering drinks and live discussion supported by our comrades of Radio NoBorder. People who cannot come to the event itself, may follow the show under http://radionoborder.net/live/. The show is going to be in English but we can also provide translation for German and Italian if someone wants to participate in the discussion. Start of the live-stream: 8 p.m.
After learning about the situation of student assistants in Berlin (TVStud), following the riders on the storm (Deliverunion), and asking Amazon to pay (Make Amazon Pay), we are going to talk about hospitals in Berlin. How the Vivantes Service GmbH treats its employees? How this treatment affects your health and the safety of the workers? 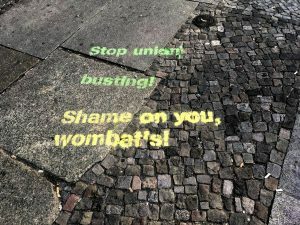 RadioNoBorder narrates the strikes in Berlin! In April Jeff Bezos visited Berlin to receive the Axel-Springer-Preis. There were several workers from allover europe to “greet” him. Since a while we take part to discussions to the topic of working conditions in Amazon. 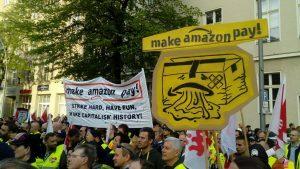 Together with Ralf from Amazon Leipzig we had a chat about the conditions of Amazon workers in different European countries, we had a look to previous struggles, we listened to a couple of interviews recordered during the demo and as usual had a small discussion with the public. We did it AGAIN! 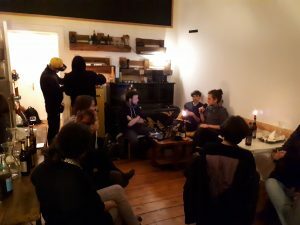 Thanks to the powerful means of Radio No Border, the Critical Workers broadcasted the second Critical Radio show (audio below). 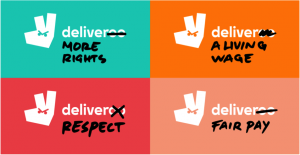 This time we took a closer look at two awards: Deliveroo received the award for being the worst employer of the year by the Aktion-Arbeitsunrecht. Instead of a golden cup, Deliveroo won a strike of their employees on Friday 13. We interviewed a former Deliveroo rider in Berlin, now Deliverunion member, a Foodora rider also from Berlin and an italian activist. We examined the backgrounds as well as working conditions in Deliveroo and Foodora. We gave some updates about international struggles and analysed the situation together. We also took a brief look to the Axel-Springer-Preis, the Prize for the Amazon-CEO, Jeff Bezos. Amazon is known for bad working conditions and union busting. More will come in the next radio show. We did it! 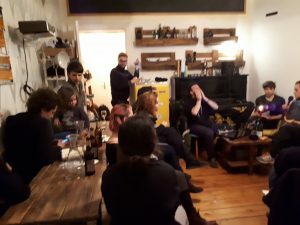 Thanks to the powerful means of Radio No Border, the Critical Workers broadcasted its first Critical Radio show (audio below). 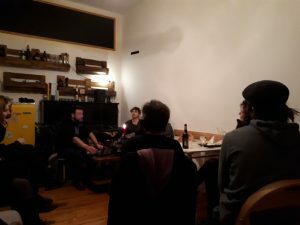 In the cozy atmosphere of Fritto (wildenbruchstr 24) several people joined to drink some wine, eat panzerotti and listen to something that was middle way between an interview with guests and an info event. We liked the format of the open radio show and we’re going to do more. Meanwhile you can listen to the one we recorded on the 22nd of March. 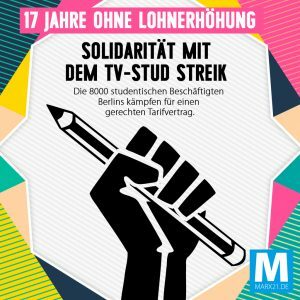 A long interview with a member of TVStud (tvstud.berlin), an organization of student assistent struggling for a fair wage (but not only). A very interesting campaign we’ve been in touch with. 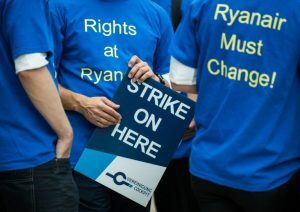 Organize, fight, resist! Join the Critical Workers! We’ve been active for over a year now. We supported local struggles from food delivery couriers to call center workers. We are offering a monthly legal counsellig where we hear the most awful and interesting working situation. We are constantly analysing working conditions in Berlin trying to understand what’s going on and how we can bring people together. Now we would like to introduce ourselves to others that might be interested. On Thursday 22nd we will air a short radio program (thanks to Radio NoBorder) talking about what we do. Meanwhile there will be informal chat, drink and delicious food for you. There are two of the many struggles happening in town that we know and support since the beginning: the riders of Foodora and Deliveroo, and the Studentische Hilfskräfte. So… Critical Workers is still alive, we just forgot we have a blog. Since January the meetings re-started regularly, in case you want to come and discuss about local struggles, legal issues or just hear what the group is doing. Meetings will be every second wednesdays starting from the 24.01. After that 07.02, 21.02 and so on. The dates of the legal counselling (with lawyer and translators) will be published soon. Critical Workers is an activist collective based in Berlin dealing with workers struggles. We offer free legal counselling regarding work issues, in presence of labour lawyers. Please feel free to ask us any question or come in our counselling hours.